The AFAN President also disclosed that the Federal Ministry of Agriculture in 2018 distributed potato vines to farmers when the planting season had elapsed. 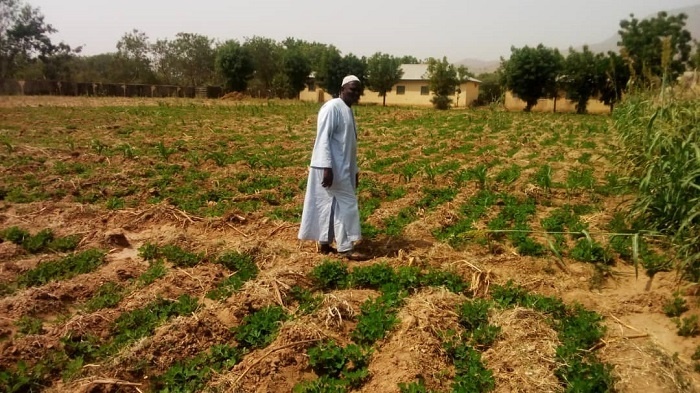 To avoid food shortage in Nigeria this year, farmers under the aegis of All Farmers Association of Nigeria, AFAN, has appealed to the Federal Government to ensure timely distribution of subsidised farm input for the 2019 wet season farming. The Vice National President of AFAN, Chief Daniel Okafor told the News Agency of Nigeria, NAN in Abuja on Tuesday that the timely distribution would encourage more farmers to plant in the forthcoming farming season and guarantee food security. He expressed regret over the current neglect of farmers by governments and appealed to them to take care of farmers by providing the necessary facilities. Okafor, who is also the National President, Potato Farmers Association of Nigeria (POFAN) disclosed that the Federal Ministry of Agriculture and Rural Development in 2018 distributed potato vines to farmers when the planting season had elapsed. He noted that the late distribution of input to farmers could result to the consumption of the input by farmers. “Many farmers have not received assistance from the government for three years now. The subsidised input which the government normally gives farmers especially under the Growth Enhancement Support (GES) scheme helped us a lot. “The Ministry of Agriculture should up their game because they are not carrying farmers along in whatever they are doing. “What they are doing is very wrong because without inputs, what are we talking about in terms of food production? “The policies in agriculture are good but their implementation is wrong. “The government knows what to do because some monies are being budgeted every year for the distribution of the subsidised input but we have not received them,” he said.